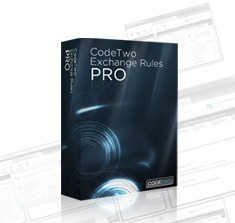 We have just released an important update to CodeTwo Exchange Rules Pro. The new version (1.4.6) introduces some significant changes to the signature positioning mechanism, as well as improves the program’s resilience against the HTML code errors in signatures. We strongly recommend that all users update their programs. As usual, the update is free of charge for all license holders. Simply download the new installer and launch it. The old version of the program will be replaced with the new one. All previous settings and license keys will remain valid. In case of any questions, please contact CodeTwo Customer Service here.